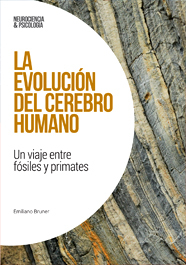 “Journal of Anatomy Best Paper Prize 2014” to Bruner E., Rangel de Lázaro G., de la Cuétara JM., Martín-Loeches M., Colom R. & Jacobs HIL. 2014. Midsagittal brain variation and MRI shape analysis of the precuneus in adult individuals, Journal of Anatomy, Volume 224, Issue 4, April 2014, pp 367-376, as the most outstanding article published during 2014! The prize is awarded by the Anatomical Society.